First things first, the hotel that you stay in can literally make or break your vacation. There will always be all kinds of hotels to choose from when you’re on holidays, but it’s a matter of finding family-friendly hotels. The good news is that there are Phuket family hotels that cater to both the adults and the kids making sure everyone needs and wants are covered. 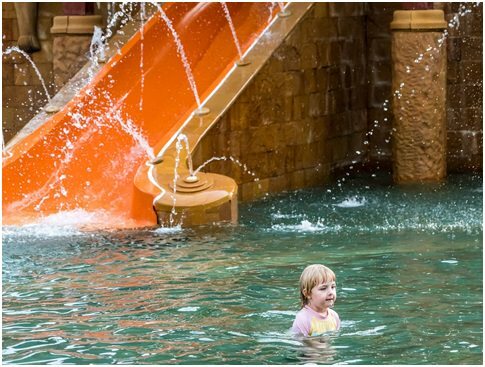 The key things to look for in a family-friendly hotel include recreation and activities for the kids, a “kids club”, a designated area for kids to swim in, kid-friendly on-site restaurants, and rooms that offer plenty of space for the full family. You may even want to look at a family-style suite so that there is some privacy. This also makes it easier for the kids to go to bed earlier than the adults. Rather than waiting until you arrive n Phuket to figure out the to-do list, it’s a good idea to do your research in advance. You can then write up a tentative itinerary. Now, other things may pop up that you hear about when you’re there on holidays, but at least you’ve got a rough idea of things to do to keep the family entertained. This tip goes hand-in-hand with creating an itinerary and just looks at your activities a bit closer. Keep in mind you are picking activities that are meant to keep the kids happy, so staying active is probably the key to success. While the idea of browsing through local shops for hours on end may sound great to you, chances are it’s not going to keep the kids happy for long. Some family-friendly activities include the Mini Golf at Dino Park, Phuket Trickeye Museum, Splash Jungle Water Park, Surf House Phuket, and the Phuket Aquarium. You also want to be sure you are traveling during the best season, so this means avoiding the months from May through to October as this is monsoon season. The final tip will likely take everyone out of their comfort zone, but can take the vacation to the next level. Be sure to sample the local cuisine as a family and check out some of the most popular dishes before you leave. So, with these tips in mind, take the leap and book that family vacation.